With a passion for writing and a love of books and movies, E.J. 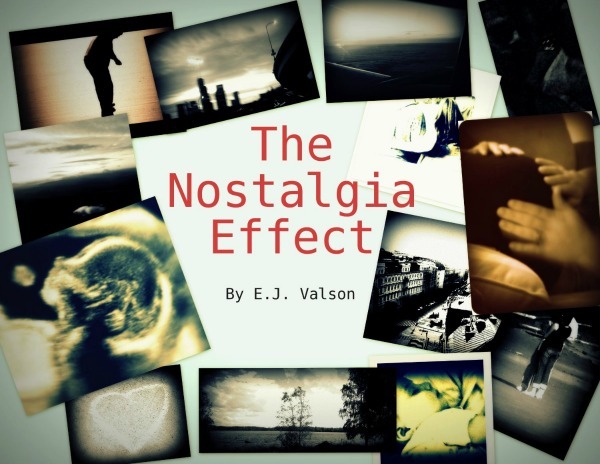 Valson channeled her personal experiences and emotions into her first book, The Nostalgia Effect. The tale of a mid-thirties woman, who finds herself thrown back into her past still married to her ex-husband and yearning to get back to the life and love she knew before. E.J. Valson currently resides in the Pacific Northwest with her husband and children. In her spare time, she enjoys music, cooking, traveling, but mostly spending time with her loved ones. Jennifer Nielsen awakens one morning to a life that doesn't belong to her. Thrown back eight years into a past she doesn't remember and again married to her ex-husband, she struggles to make sense of the situation. Longing to return to her future life to who she believes is her real husband and children, she seeks out answers -- and a way "back" -- wherever she can find them. Is she losing her mind? Did her other life ever exist? Or did she actually time travel? And if so, how will she get back and what will be sacrificed?